The VEAA members participated in these events during 2012. 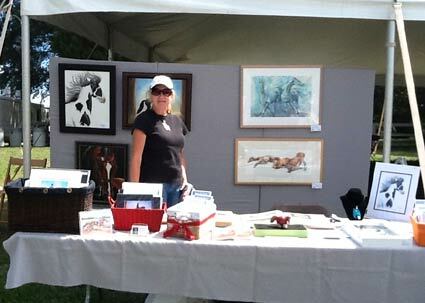 On September 15-16, Willa Frayser and Robyn Ryan exhibited as part of VEAA at the VADAF Dressage Show at Rosemount. Debby Thomas was also supposed to join us but could not at the last minute. We had a lovely space on the outside corner, and although Saturday was a bit windy, it was lovely weather and we met so many nice people! 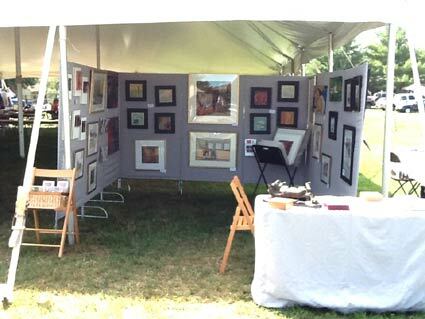 Robyn and I were busy from the time we set up until we took down and then came back on Sunday. There were some good sales made, but also some good contacts as well. VEAA Annual Meeting, March 31st, 2012 to be held at the Rockville Library on 16600 Pouncey Tract Road. A post card will be coming soon with details. For more information or questions contact: Eleszabeth McNeel @ e7aquila@aol.com.